An overnight success in the world’s 2nd most-populated country is nothing short of breathtaking. In June 2015, IDC estimated there were 5.8 million 4G LTE subscribers in India. In a country with a population of 1.3 billion that’s a rounding error. Yet, as I type this now in October 2017 India has 81.56% 4G LTE coverage, better than most countries in Europe and snapping at the heels of city-nation, Singapore. Isn’t that a huge waste of bandwidth? Well no… Just months after the IDC estimate was published a new service, Reliance Jio, was launched, and everything changed. Reliance Jio launched commercially on 5th September 2016 and… *deep breath*… acquired 50 million subscribers in 83 days. That’s 400 new subscribers every minute. That’s a faster user acquisition rate than any consumer company in history, including Whatsapp, Facebook and Skype. They hit 100 million subscribers within 6 months. Simple: they offered 4G LTE completely free. It seems quite a reckless way to start a business, until you realise Reliance is about as far away from a startup as you can be. Reliance is owned by Mukesh Ambani, India’s richest man. The company (Reliance Industries) he inherited from his late father makes its money from oil. Now in his 60s, Ambani wanted to create a legacy of his own. 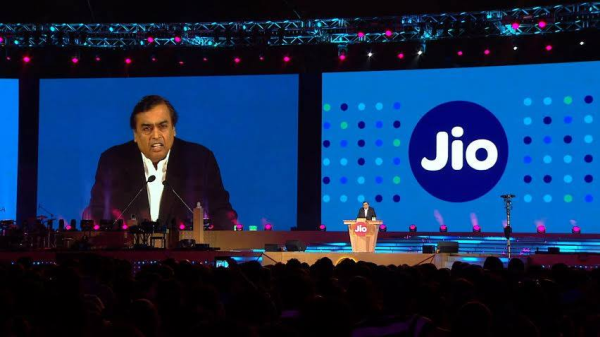 Jio is structured as a subsidiary of the petrochemical exploration and drilling firm that brought his wealth ($41.4bn at last count), so there was plenty of money to play with – Ambani sunk $25bn into Jio to allow it to offer coverage in every coverage zone in India at launch. Ambani did this right – he bought up spectrum in each class in every coverage zone (called a telecoms circle) and beta-tested the network internally with his 35,000 employees since December 2015. He ticked every box. Except one: revenue. Reliance Jio made it clear its 4G LTE network was free until December 31st 2016, by which time more than 50 million people were using the network. Ambani could have played dirty here. He could have gouged customers and made a fortune off a rapidly diminishing set of customers trying to escape sudden price hikes. Jio is obviously something he wants to be around for a long time, and the strategy is both bold and credible in equal measure. From 1st January 2017, 4G access is 19 rupees (Rs) per day – around 30 US cents. A monthly Rs149 package provides limited data while the Rs4999 allows near-unlimited data. Ambani has committed to making voice and roaming free for life. 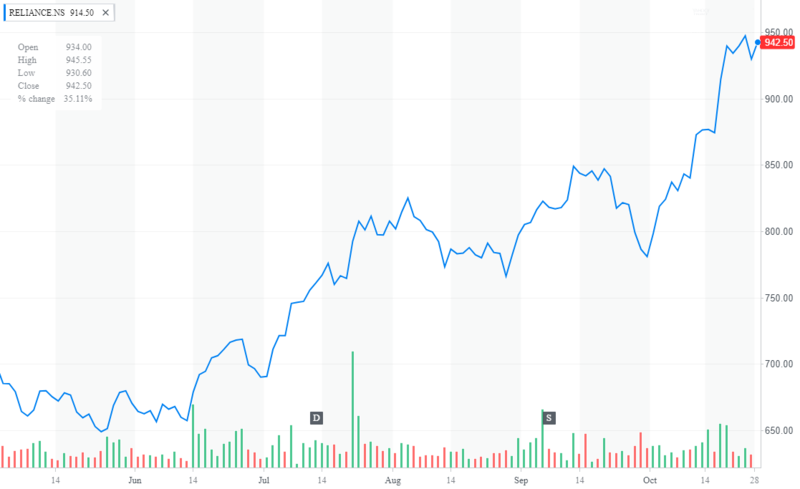 The stock price of Reliance has nearly doubled since the start of 2017 showing increasing confidence in the brand and the retention of customers even after starting to charge for the services. Ambani’s vision for Jio didn’t stop at making an aggressive entry into the mobile network space, Jio also started to push apps: messenger, music, TV, cinema, magazines, cloud-storage, etc. But one in particular arrived just in time: JioMoney Wallet. Just as JioMoney Wallet arrived on the scene the Indian Government spectacularly withdrew all Rs500 and Rs1000 (equivalent to $5 and $10 notes) overnight in a bid to curtail counterfeit money and the shadow, cash-in-hand economy. This led to money shortages and chaos. With the JioMoney Wallet app, and many other digital payment apps including Tez from Google, mobile payments sky-rocketed. Back at lunch with my colleagues (still chuckling) they said they paid all their bills with JioMoney Wallet, and most brick-and-mortar shops allowed payment via the app too. They used Jio Chat Messenger to communicate with family and friends, watched streams on JioCinema and JioTV, and listened to JioMusic. And they didn’t have to care about how much 4G data they used. Also, they said, they were eagerly awaiting their JioPhone, a feature handset built with Google. They already all owned the latest iPhones, of course, but the JioPhone was virtually free – $23 deposit down when you collect the phone, which was returned after 3 years. Why wouldn’t you want one? Mukesh Ambani has done in India with Jio what Baidu and Alibaba have done in China, cornered the market and grown through affordable products and services offered at extreme scale with tiny (if any) margins. Then they use that reach to expand into new areas and become one-stop shops for everything the modern consumer needs.